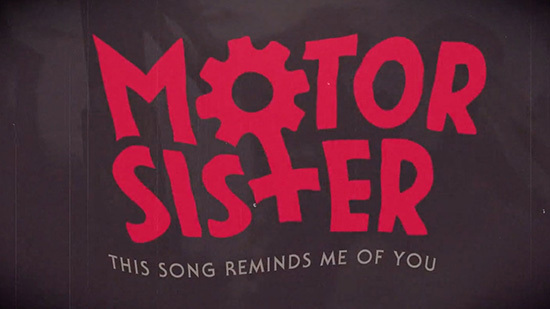 Motor Sister have launched a brand new lyric video for “This Song Reminds Me of You” from their album Ride! The video is streaming at metalblade.com/motorsister. The video arrives just in time as the band prepares to embark on the Motörhead Motörboat cruise next week! The cruise is known for their amazing line ups (including Slayer, Anthrax, Corrosion of Conformity, and more this year), and it was only fitting that Motor Sister be part of the bill. The band will bring their high energy songs to the high seas for the first time! The full lineup and schedule of events for the cruise are online now at motorheadcruise.com. It promises to be a once in a lifetime experience on the seas from September 28th through October 2nd. Motor Sister‘s Ride debuted on the Billboard charts after its first week of release. The album cracked the top 10 with the #9 position on the Billboard New Artist (Heatseekers) chart and #12 on the Hard Music albums chart.